When you’re with a musician, you end up doing music-y things. Which is generally pretty groovy, particularly when you have a tendency toward being a hermit and you don’t go out in the sun much. I blame my pasty white northern European ancestry. Me + the sun = misery. But I digress. 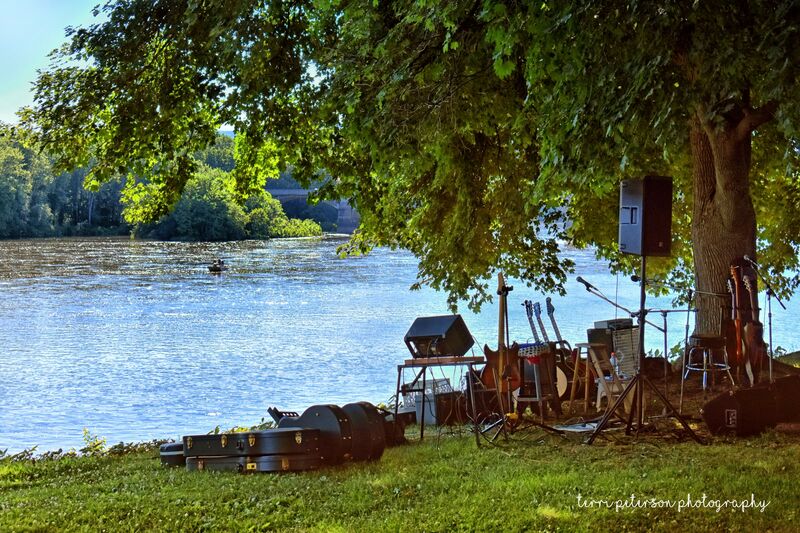 It was a beautiful day for a jam along the Susquehanna River, at the Watsontown Borough Park, which is a lovely strip of greenery running right along the river. I never knew it existed until…oh…last week? We live. We learn. We go to jams on golden summer days. Life in Central PA? Dig it, people.